【Summary】In addition to getting self-driving vehicles onto Israel’s roads, the German automaker is set to open an R&D center in the country, too. Silicon Valley, Detroit, and Pittsburgh may be technology hubs for the United States, but spread your sights to other countries, and Israel is at the forefront for automotive technology. Major players, including Mobileye, Intel, Volkswagen, and Audi all have ties to the country. Another large automaker, BMW, is gearing up to have a large presence in Israel. According to Israel's Globes, BMW is on path to start testing its autonomous vehicles in Israel by the end of the year. The German automaker will reportedly have a fleet of self-driving vehicles on the road in the country before the end of 2019, which also coincides with when BMW plans to open an R&D center in Israel, too. The outlet states that the move to Israel represents a larger plan that should see its autonomous program get up to speed with its rivals. More specifically, BMW is using its Israeli location to gather and analyze data from approximately 3,100 of miles it has covered around the globe. 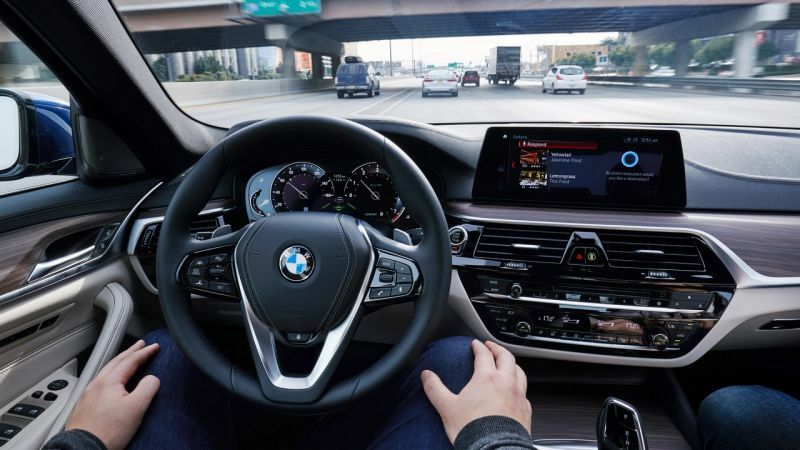 With the new location and testing in Israel, BMW is hoping to stay on track with its date to come out with a Level 3 or 4 autonomous car in 2021. BMW's autonomous program will consist of 140 cars that will operate around the world. The outlet claims that BMW only has 70 self-driving cars on roads at the moment, so the Israeli facility and program will help the automaker expand its fleet by 50 percent. The brand's autonomous vehicles will continue to test in locations where it has R&D centers, including the U.S. (west coast) and China. What Else Is BMW Doing? Recently, BMW has been utilizing its partnership with Mobileye to test self-driving cars. The automaker has been using self-driving 7-Series sedans as part of its autonomous tests in other parts of the world, but we've also seen driverless 5-Series sedans, so there's a strong chance that one of those vehicles would be used in the new trial. Unlike a lot of automakers, BMW isn't planning on coming out with a driverless program, but is simply conducting research. The outlet didn't state whether Mobileye would be involved in BMW's testing in Israel. As we alluded to earlier, Israel is a popular location for autonomous testing. Volkswagen, Cadillac, Chevrolet, and Mobileye are all testing self-driving cars in the country. BMW is another company on a long list to choose the country as another location for self-driving testing. Besides continuing to test autonomous cars around the world, BMW is also working on expanding its electric lineup. The German automaker plans to have 12 EVs by 2025. It's also hard at work on introducing a ride-sharing service in China.